This was my lunch the other day and it was just what I was craving. Simple, tasty, and something you can do with whatever you choose. There are no measurements for this dish because it’s pretty much just a catch-all for whatever fresh produce you have on hand and want to throw in and mix up. Simple! (1) 5.9 oz. Box Near East Parmesan Instant Couscous prepared according to package directions making sure to use the olive oil and not butter when preparing. After cooking the couscous according to the package directions, fluff with a fork and then refrigerate until cool. 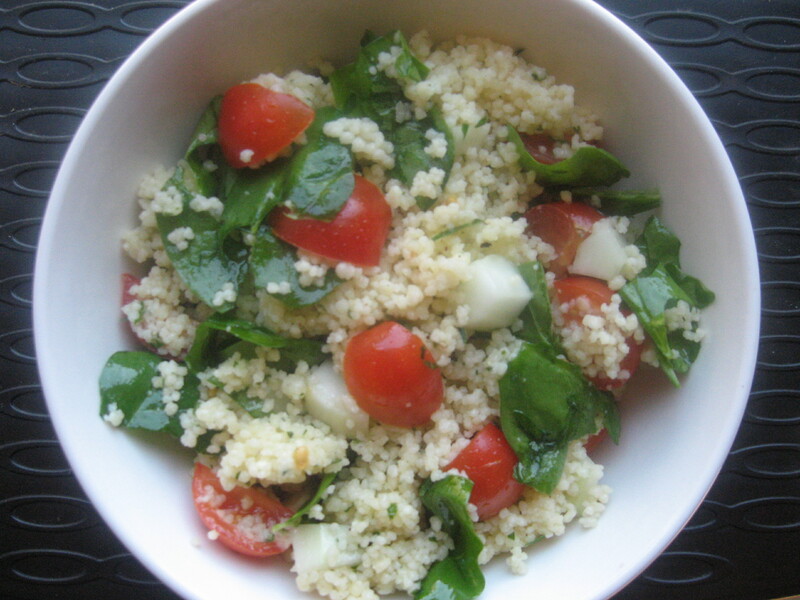 Add couscous to a large bowl, add in all remaining ingredients and mix together. Serve immediately. You can switch this up with some lime juice and fresh cilantro. Add some vinegar in place of the lemon and top with some feta cheese. How was your Christmas dinner? We had a great one. No recipes to share this morning, just a few highlights from what we ate. This first dish captivated my attention all day long before we sat down to eat. I saw it sitting and covered, and I couldn’t stop coming back to it, tempted to lift the cling wrap and steal a piece. I was good though and kept my hands to myself, until dinner. I ate several helpings of this. 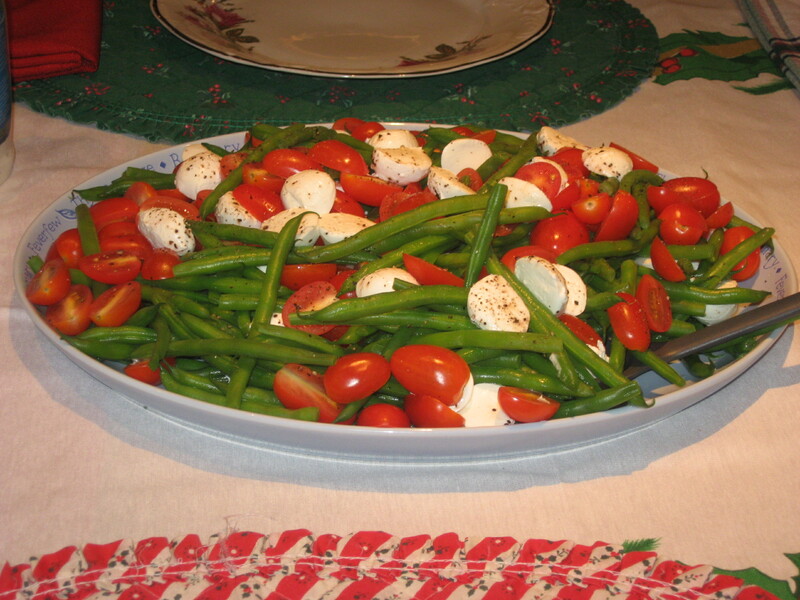 Something so simple – string beans, grape tomatoes and fresh mozarella – but addictive to keep picking at! My brother-in-law and his wife brought this dish. Filet of Sole stuffed with crabmeat. Another dish I looked at all day and couldn’t wait to try. And it was worth the wait. Isn’t anything stuffed with crab worth waiting for? Don’t have the recipe for this one, but I will. Soon. I won’t tell you that I ate two and a half servings of this. Sorry, but you can’t put something containing crab in front of me and expect me to refrain! 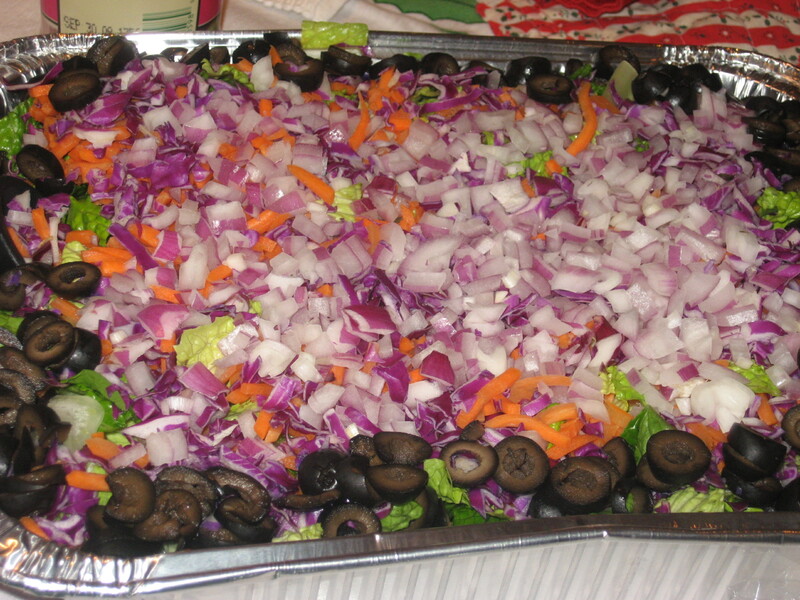 A colorful salad. I want you to know now I cut each and every olive myself. Why would I do all that tedious work when they sell sliced olives you ask? I could say it was because they had none at the store. But, that would be a lie. They did have them and I even picked them up and put them in my cart. Then I went back and put them back on the shelf and picked up the whole olives. Why? I don’t know. I was in a daze, it was Christmas Eve and the store was crowded. It was one of those shopping experiences where you walk up and down the aisles trying to remember what it was you came to the store for in the first place. Don’t you love salad? I could live on it. 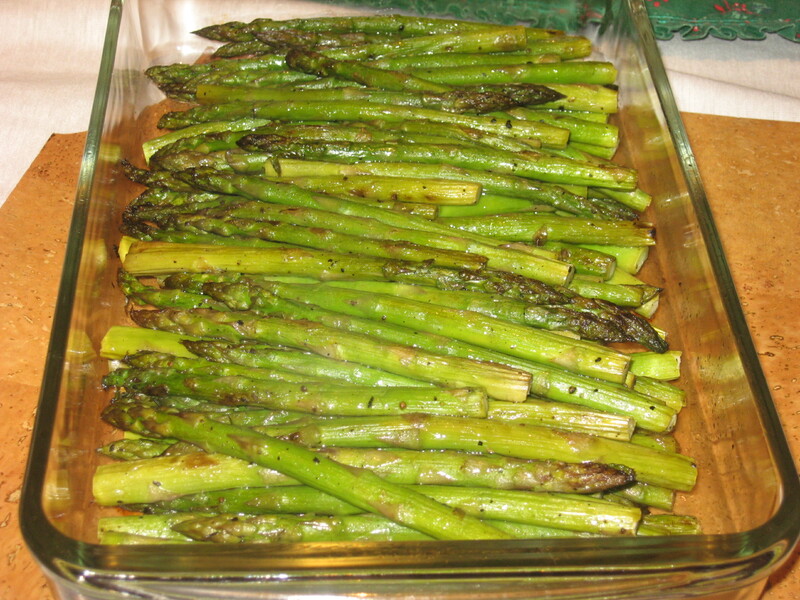 One of my most favorite veggies ever; asparagus. These were roasted, and totally delicious! I could have eaten half the dish of them myself! “Wait! 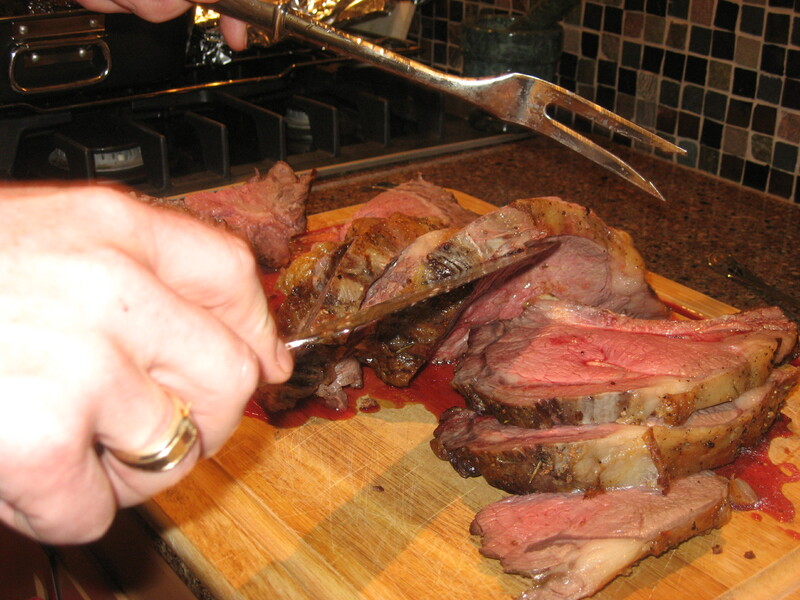 Let me get the right fork first.” Do you think blogging makes people nervous? Not to worry, Jan. I’m pretty sure Bon Appetit magazine ain’t reading my blog, so the “Use-of-Proper-Fork-Police” won’t be coming to haul you away. We had some other dishes as well, but these were some of my favorites. Too bad I didn’t get a shot of the mashed potatoes we made. They came out good, but my husband took over making them while I was busy getting ready yesterday morning. 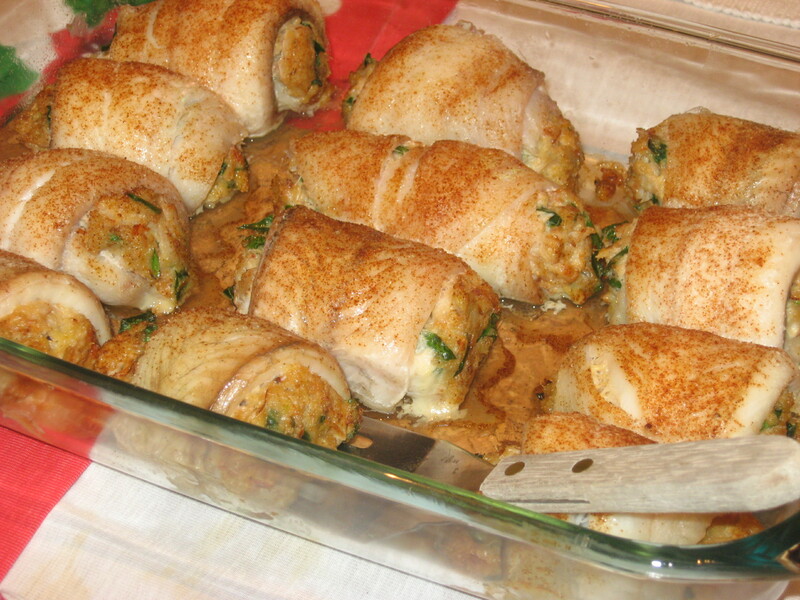 After I finished getting dressed I came out and saw them all made and in the pan and they looked great. Then I looked a little closer and said; “Where did you get the fresh parsley from?” I had fresh parsley, but used it up a week ago. He hadn’t gone to the store, and our garden has long been dead, so I couldn’t figure where he got it from. “It was in the fridge in the mason jar,” he responded. That’s when I got nervous. See my husband can cook. But sometimes he over seasons, changes a recipe too much, or like he did on Christmas, adds an ingredient that really has no place in the dish. Let me just say now that Cilantro and mashed potatoes don’t go together. Cilantro and potatoes in other dishes…sure, they could work. Mixed with mashed potatoes, not so much. But it did look pretty. And luckily, I was able to pick off the Cilantro before it really seeped into those taters. All in all, dinner was delicious. The day came and went, my children have more toys right now than Toys R’ Us and my house looks like a bomb went off in it. I can’t even find the living room floor. And I have no energy to pick it all up. I could try making my kids do all the work, but they are ignoring me and are too absorbed in all the loot they gathered yesterday.